A recent study by ComScore shows that mobile users in the United States are big fans of mobile apps. According to the study, four out of every five minutes spent on smartphones are with apps. When it comes to specific apps, Facebook appears to be leading the way in popularity and engagement. 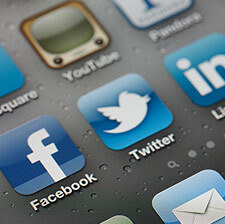 The average mobile Facebook user spent around 7 hours on the social network in March 2012. Additionally, U.S. smartphone users spend more time on Facebook than any other mobile app, amounting to 12% of all time spent on their device. Twitter has also seen exceptional engagement, with the average user spending roughly 2 hours on the mobile app, compared to just over 20 minutes per user via Twitter.com. This indicates a growing preference for mobile apps instead of traditional mobile web browsing. These numbers support additional studies which have shown the popularity of social networking apps with smartphone users. Lightspeed Research conducted a survey that revealed 73% of smartphone owners use a social networking app on a daily basis, with an additional 19% saying they use them at least weekly. With mobile devices continuing to grow in popularity, and analysts such as Nielsen revealing that over 50% of consumers now own smartphones, it’s probably a safe bet to assume that usage of mobile apps will continue to grow as long as companies recognize and cater to the market.